Featuring Rare & Unique Equines! New for 2019, the Western States Horse Expo is proud to be hosting the SANA West Rare Breed Show. 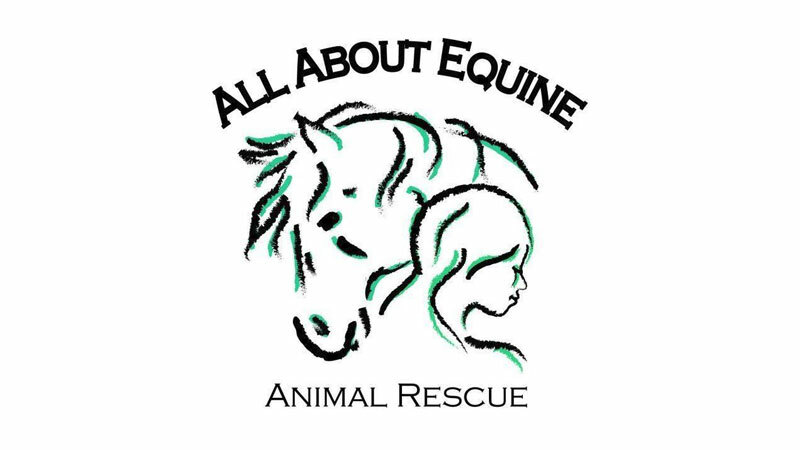 In partnership with the Equus Survival Trust & the Akhal-Teke Association of America, this event will be a true rare breed show and entry will be limited to those breeds currently being protected by the Equus Survival Trust and on the Equine Conservation List. Discover some of the rarest & most unique breeds in North America and learn how you can help save them from extinction! The show will be taking place in Arenas 9 & 10 during all four days of the Expo. Class lists & show details will be available in January so please check back soon. Do you own one of the breeds listed on the EST Conservation List and interested in participating in the show? Just email [email protected] for current details and to sign up! Four Days of education, competition and fun! Run under SANA rules (Stewardship Awards of North America) – focusing on conservation through education. This competition is to help conserve endangered breeds by encouraging breeders to retain traditional type, movement and the inner qualities that historical use honed for centuries. *Please note that while we will do our best to maintain this schedule, times are approximate. Dr. Molly Nicodemus, Associate Professor of Animal & Dairy Sciences, is the head research-er for the Gaited Horse Locomotive Research Program at Mississippi State University. Origi-nating from the McPhail Equine Performance Center at Michigan State University, Dr. Nicode-mus’s research on equine gaits has been able to grow and develop addressing many different breeds of horses performing gaits the horse industry is less familiar of. Dr. Nicodemus completed her bache-lors at Missouri State University where she competed on the horse judging and equestrian teams along with interning for multiple horse trainers learning to train and show cutting and gaited horses. Working on her masters program at Sam Houston State University, she began her research on gaits of the performance horse while working as a professional judge and trainer. As a part of her disser-tation research at Michigan State University, she was the first to research the three-dimensional motion of gaited horse breeds. During this time she became actively involved with the local horse community giving clinics and demonstra-tions concerning the gaits of the performance horse; and when not busy working with the horse community, she was assisting with coaching responsibilities for the collegiate horse judging and equestrian teams. At Mississippi State Universi-ty she continued her coaching responsibilities with the collegiate teams along with teaching multiple equine courses ranging from horsemanship courses to equine evaluation courses. During that time period, she was the first to docu-ment kinematics in the western pleasure, country pleasure, hunter pleasure, and park horses along with various gaits performed by gaited horse breeds. When she is not teaching college students or researching equine gaits, Dr. Nicodemus trains her own horses and coaches youths for competition at stock breed shows. Her horses and youths have produced multiple national and world champion-ships including holding the title for the past three years for Top Performance Horse and Top 13 & Under Youth in the Palomino Horse Breeders of America. Sue Bartholomaus has been a well known hunter/jumper and dressage rider, teacher, and trainer for almost four decades here on the West Coast. Before that, as a native of New York and later Virginia, she rode and taught extensively in these disciplines, as well as Event-ing and Foxhunting. It was the importation of her first German Warmblood stallion in 1977 to start her breeding program at Cross Fields Farm that caused her to narrow her personal focus on higher level dressage. Starting the Farm’s resulting young horses encouraged her interest in studying Natural Horsemanship and she has been teaching that, in addition, since 1990. A lifelong learner, Sue is often described as an “eclectic teacher” due to her very extensive equestrian background. She believes that good horses come in many packages, and can be used and enjoyed in more than one discipline, regardless of breed. Cross-training is to everyone’s benefit, both mentally and physically, so in addition to attending clinics with renowned dressage or jumping instructors, it would not be unusual to see her with her students—generally in their English saddles astride their FEI Warmbloods, Thoroughbreds, QH’s, Mustangs, even the occasional gaited horse—at a Trail Trials, cattle sorting, roping clinic, Cowboy Dressage show, or camping for a long weekend in the High Sierras. Nicole Fowler has always had horses in her blood.Her mother rode hunter/jumper until she was 6 months pregnant, and Nicole started riding at 2 years of age. She has competed in Eventing, driving Welsh ponies and Miniatures, parades, TWHs, sidesaddle, dressage and hunter/jumper. She has trained and shown her own Thoroughbreds from off the track to many championships in the hunter/jumper ring.In her capacity as a trainer and teacher, she has taught people of all ages and backgrounds to ride. Her teaching philosophy is simple -give students a strong foundation, then go beyond the fundamentals.Riding just isn’t about hopping on –it’s about all aspects of caring for your horse, and therefore, getting the most out of your ride. Nicole received her SAHJA (Sacramento Area Hunter Jumper Association) judging card in 2009 and her California State Horseman Association English judging card in 2015. A small stylish draft pony, Kerrys have only recently having gained recognition as a breed, but are long in history as a servant in Ireland. From County Kerry, Ireland they are sensible, possess great courage and endurance, train easily for harness and are an excellent children’s riding pony. Hailing from the founding of the Canadian coast, the Newfoundland is a medium to large pony with a genetic package of 19th Century Mountain & Moorland ponies and extinct Scottish Galloway without the 19th & 20th Century ‘improvements’. Fast learners with an intense desire to please, they excel in any discipline. and are one of the few pony breeds developed in NA. Small, hardy ponies designed by Mother Nature for survival, but well suited for riding or driving. Their uniformity of color and type attests to their ancient, pure ancestry. Exmoors are clever and sensible, giving trust and obedience when shown leadership and respect. Considered the oldest and purest of the Native Pony breeds, they are also one of the most endangered. Dartmoors are fun in harness for adults too. called, “the best little pony on the planet! The Irish Draught Horse is an active, short-shinned, powerful horse with substance and quality. It is proud of bearing, deep of girth and strong of back and quarters. Standing over a lot of ground, it has an exceptionally strong and sound constitution. It has an intelligent and gentle nature and is noted for its docility & common sense and its long history as a hunter and jumper. Thought extinct until 1965, Caspians trace to ancient Persia and predate the Arabian. Small, elegant hot-blooded horses, they average 11 to 12.2 hh. One Breed Standard with Three distinct types: Desert, Hunter, and Steppe. Highly intelligent, free flowing movement, spectacular shoulder action & agility. Phenomenal jumpers and athletes. Excellent child’s horse, can carry 120 #s.
Research suggests they predate the Arabian and influenced the Thoroughbred, the Teke reigned as a war horse supreme in ancient times. Brilliant metallic colors and lithe athletic build, movement is extremely fluid, elastic, and forward moving – Akhal-Tekes are known for speed, endurance, dressage and jumping. Ave 15.2 hh, 900-1000 #s.
Indigenous to KY’s Appalachian Mnts with roots based in blooded European & Spanish gaited stock, the MPH can trace its beginnings to early KY statehood. Influence American Saddlebred, TN Walking Horse, and the Rocky Mtn. Horse. Naturally gaited – known as the Cadillac of Rides & family horse, -calm, willing, surefooted, outstanding pleasure & trail mount. A major player in the development of America, the Canadian was decimated during Civil War nearly to extinctions. The horse American forgot traces it’s ancestry to 17th C. Canada and the French Royal Stables of Brittany and Normandy. Incredibly athletic & kind with abundant muscling, bone, and heavy mane and tail. National horse of Canada. 14-16 hh. versatile agility. Native to America and likely related to the older Canadian Horse. Developed first as a packhorse, laster as a coach and heavy hunter, the Cleveland Bay was bred for strength, soundness, and long distance. A warmblood free of TB blood for nearly 200 years, they make an outstand outcross, causing near extinction. Always bay, 16-17 hh, 1200-1550 #s. Calm, dignified, graceful & tractable. Britain’s oldest indigenous horse.